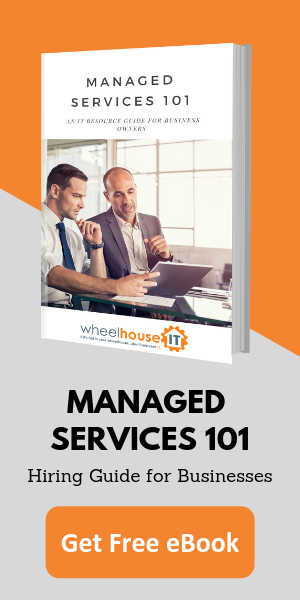 Wheelhouse IT has been a pioneer of Managed IT Services since we were calling it flat fee IT support in the early 2000’s. It represents the common goal and partnership between us and our clients. Our skills, tribal knowledge and best of breed filtering through trial, error and company acquisition has created a unique approach to Managed Services that has proven extremely effective. In an industry that feels very commercial on the surface, if done correctly Managed IT includes so much more than just support. We’re talking about Disaster Recovery, Employee Training, VoIP and Telecom Consolidation, Microsoft Collaboration Tools, SaaS, FaaS, WaaS, and the backbone of a friendly, knowledgeable support team more than 50 large across a network of locations. A support team that wants to help you solve problems and prevent others. Find out why we are ranked 127th in the world in the Managed Services industry ranked by MSPmentor. As a Managed Service Provider, we deliver robust solutions to the technological needs of corporations, small and midsize businesses, non-profits, and educational organizations. Schedule a meeting with one of our client success managers to learn more about how we approach managed IT in a way that transforms your business.